A founding member of the Albuquerque Little Theater, where she played a vamp in "This Thing Called Love" and a nun in "The Cradle Song," the local theater community helped pay her way to New York. The theater in later years was eventually nicknamed The Vivian Vance Playhouse. After marrying publisher John Dodds in 1961, she left Los Angeles for good. The couple spent the next several years living in various locations. In 1961, they purchased an old white farmhouse in Stamford, Connecticut. They also purchased a 200 year old schoolhouse in Westchester County, New York to be used as a retreat for the two of them after her years on "The Lucy Show" (1962). As John's career took off, they lived in a penthouse at Beekman Place in Manhattan. Tiring of the big city life, in the late 1960s, they moved to Santa Fe, New Mexico owning and operating a Travel Agency. In 1974, after her first bout with cancer, they decided to sell the business along with property she owned in Solvang, California to finance a publishing business for John in San Francisco. She would live the rest of her life in Belvedere, California, near to her sister, in a shingle style house by the beach. Appears on a 44¢ USA commemorative postage stamp in the Early Television Memories issue with Lucille Ball, as Lucy Ricardo and Ethel Mertz in a scene from "I Love Lucy: Job Switching (#2.1)" (1952). The stamp was issued 11 August 2009. Battled ill-health throughout much of the 1970s, beginning with a series of strokes in 1973. She died of bone cancer. 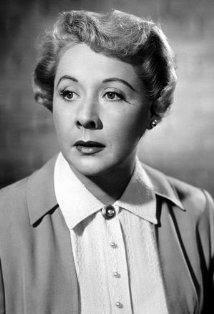 Best remembered as Lucy's best friend and land lady, Ethel in "I Love Lucy" (1951). Divorced Philip Ober in 1959 under allegations of spousal abuse. Because the majority of the wealth was earned during the success of "I Love Lucy" (1951), she was forced to hand over half of her $160,000 in community property, which included, among other things, her ranch in Cubero, New Mexico and home in California. Godmother to John Sebastian. She was best friend's with his mother, Jane Sebastian, and mentioned her name in many "I Love Lucy" (1951) episodes. In the 1970s, she discovered commercials were a lucrative way to capitalize on fame, with a 3 year $250,000 contract. She became known as Maxine, in the Maxwell House Commercials. Legend has it that a clause in her television contract required her to stay 10 pounds heavier than costar/producer Lucille Ball. Actually, this contract never existed, at least not in legal, binding form. It was a mock contract given to Vance by Ball as a gag gift sparking the legend it was a real contract. Miss Vance was honored by the State of Connecticut Department of Mental Health for her contributions on behalf of the mentally ill.
One of her closest friends in childhood was the silent film star Louise Brooks, who was her neighbor in Cherryvale, Kansas. Producer Jess Oppenheimer was quoted as saying that the infamous feud between Vance and William Frawley was exaggerated. While TV's favorite neighbors may not have been "chummy" in real life, they were professionals who for the most part treated each other with respect during rehearsals and filming. Producer Vinton Freedley was preparing his next musical and offered Vivian a musical role in which she'd have to do a playful striptease. Known for her vulgar, tauntingly glamorous roles already, she turned him down lest she be typecast. The show was "Leave It to Me," the song was "My Heart Belongs to Daddy," and Mary Martin became a huge musical star as a result of it. She left "The Lucy Show" (1962) as a regular in 1965, because the weekly commutes between Connecticut and Los Angeles put a strain on her marriage to publishing executive John Dodds. She asked the show for a $500,000 advance, more creative and directorial control,and a raise in weekly pay. These demands were in part to convince Lucille Ball not to try and talk her out of retirement. She would go on to guest star with Lucy in future projects. She returned to Broadway in the late 1960s, early 1970s, and usually commanded a $2,500/week salary. When she would return to her hometown of Albequerque, New Mexico, she would only accept a maximum of $250/week for little theater performances. Vance's "I Love Lucy" (1951) co-star, William Frawley, reportedly received a unique deal for early television. His contract called for residuals from "I Love Lucy" (1951) for years after the series ended production in 1957. Unfortunately, Vance did not have a similar clause in her contract. Vivian started acting when she moved to Albuquerque, New Mexico, where she took the last name "Vance" from a dramatics teacher who had been supportive of her acting career. Was offered to do a spinoff of "I Love Lucy" (1951) with her costar William Frawley, but the two did not like each other at all in real life and refused to do it.